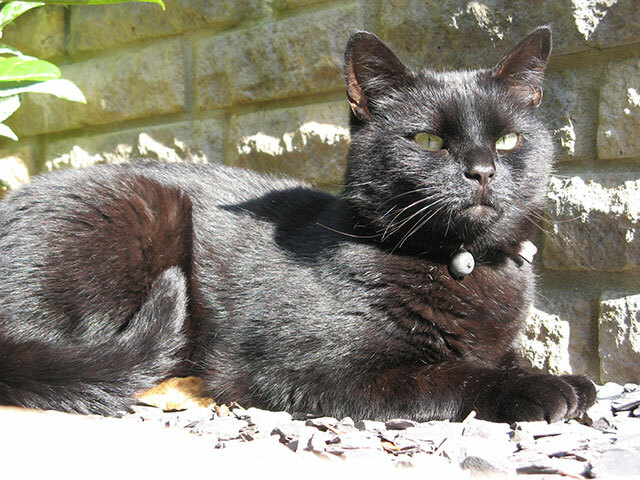 Black Cat Appreciation Day – A Tribute to Hugh! 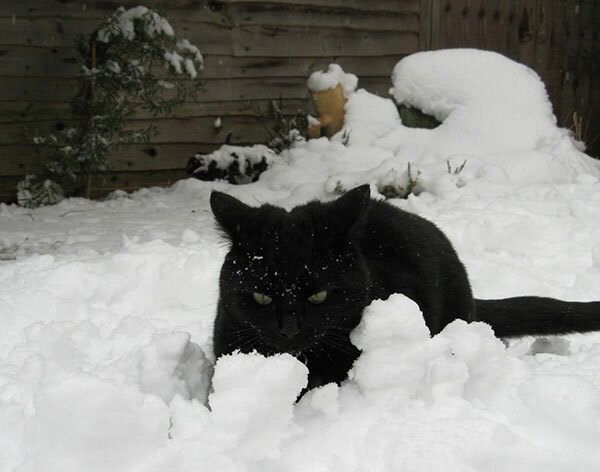 Every year on 17th August cat lovers show their appreciation for black cats around the world. 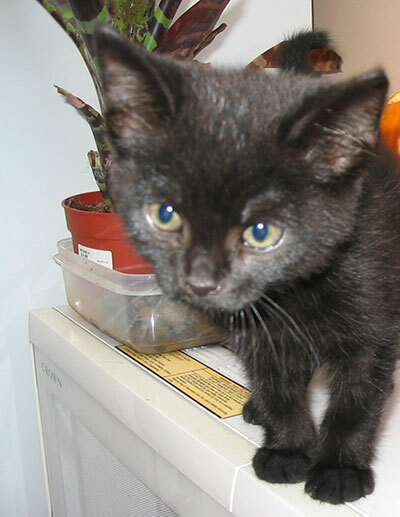 In addition, Cats Protection in the UK celebrates Black Cat Day on 27th October every year. 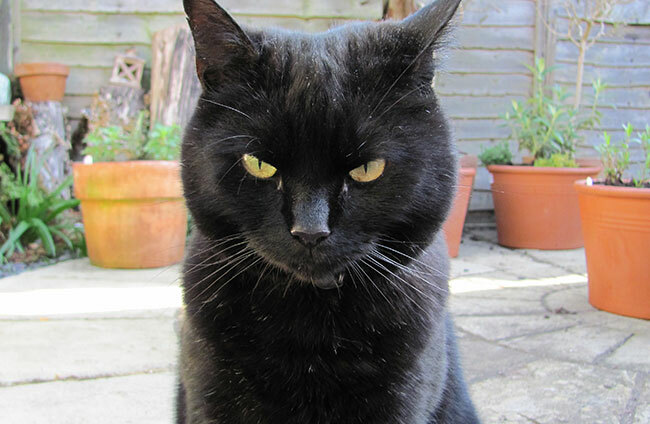 A great time to get people thinking about gorgeous black cats in the build up to Halloween. 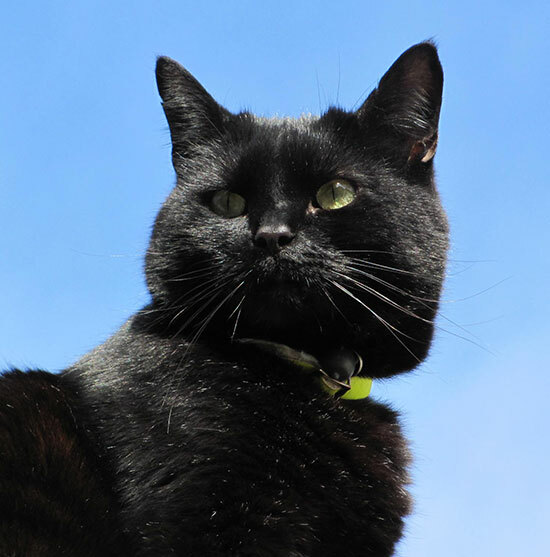 Black Cat Appreciation Day and Black Cat Day were both created to help raise awareness of the troubles faced by shelters when homing black cats. Due to old fashioned superstition, some people believe black cats are unlucky. Some prefer to take home more interesting colours and markings such as tabby or ginger cats. For whatever reason, black cats in shelters all over the world are often overlooked and can take much longer to find a loving home. So, if you plan on adopting a new cat or kitten, don’t forget that black cats make just as loving companions as all other cats! To mark the occasion, we’ll be celebrating all black cats, past and present. 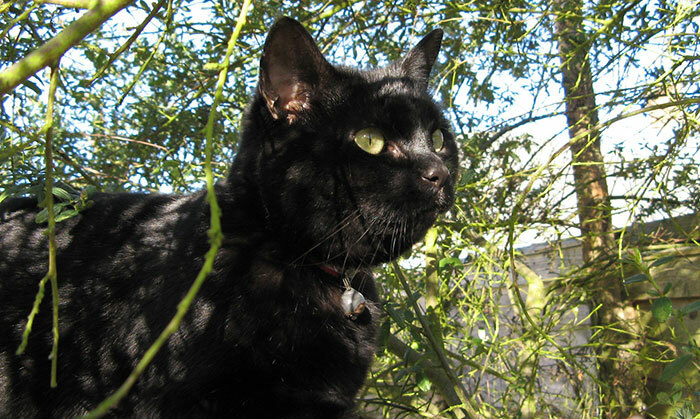 Here, Simon pays tribute to his furry friend Hugh (2005 – 2015). 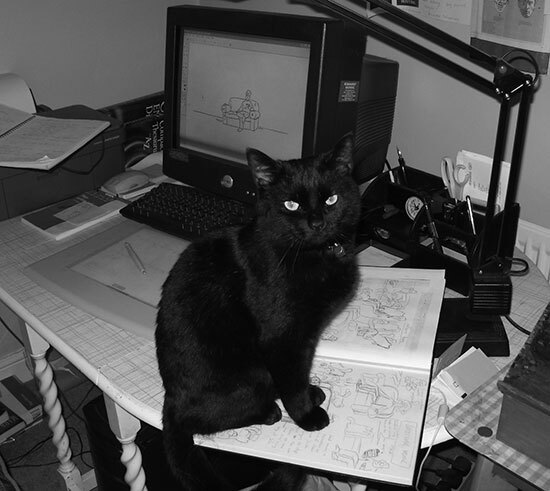 You can find out how Simon’s other cats, Jess, Maisy and Teddy also give him inspiration for his work – in Simon’s Real Cats!